Introducing the Kufatec Sound Booster Pro by Kufatec. 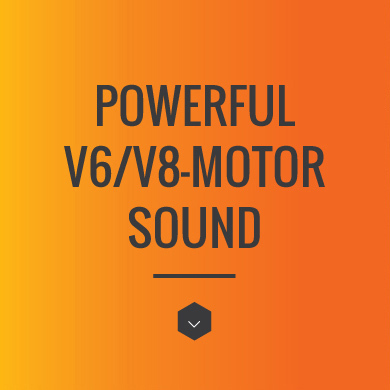 With Sound Booster Pro, you can give your environmentally friendly, low consumption Bi-turbo diesel car the performance sound it deserves, and select the sound you want whenever you feel the urge. You can have anything from a lazy sounding V8, a supercharged V6, or something closer to that monstrous sounding V12. Either way, Sound Booster Pro is what your car really deserves to sound like, an authentic gas guzzling aggressive sports machine. And, for those times when you need to make a silent entry or exit, your car can go back to silence with the touch of a button. No modifications necessary. Make your car really unique by creating your own exhaust sound profiles. You can now customise all 6 exhaust sound profiles and change things like volume, exhaust note at different RPM, and also make the exhaust sound more irregular to emulate a lumpy cam. There are thousands of combinations so you can be sure to find a unique sound for your car. To find out more, check out our video, or tips for adjusting the software here. You can also save your favourite exhaust sound and upload it to other sound booster systems to share it with friends or other Sound Booster enthusiasts. No other exhaust system gives you the options and flexibility Sound Booster Pro gives you, without the cost and time normally involved in upgrading an exhaust system. Standard exhaust upgrades may increase the volume and change the exhaust tone slightly, but not to the extent of Sound Booster. There is no welding required for Sound Booster, and because you don’t need to actually modify your exhaust system, there are no warranty implications for engine modification. Your car is fitted with something we call active sound. 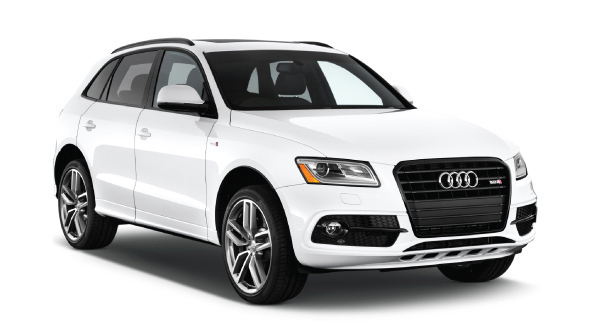 If you drive your car in efficiency mode, you will notice it has a quiet almost silent diesel sound. Switch over to dynamic mode and you will notice that the engine sounds much more lively, with an authentic petrol engine sound emanating from the exhaust. This sound is generated by the active sound system. Some refer to them as exhaust sound actuators, some as exhaust sound generators, and some just call them exhaust speakers. Two of These sound generators are built into the exhaust system at the rear of your car and are activated in dynamic mode. The Sound Generators work in much the same way as a speaker system, reproducing the sound volume and frequency they receive from the external sound module. 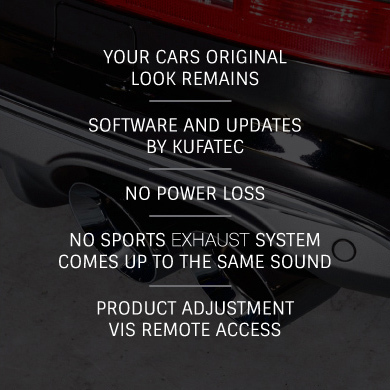 Sound Booster Pro by Kufatec can be installed to your car, and has the ability to create it’s own sound characteristics. Sound Booster can constantly measure inputs from your car such as speed and RPM, and adjust sound parameters such as volume and frequency. As an example, when your engine RPM is at idle, the Sound Booster may be emulating an output frequency of 600 RPM, and when your engine is running at 3000 RPM, Sound Booster may be emulating an output frequency of 3000 RPM. These parameters can be adjusted through the Sound Booster software. 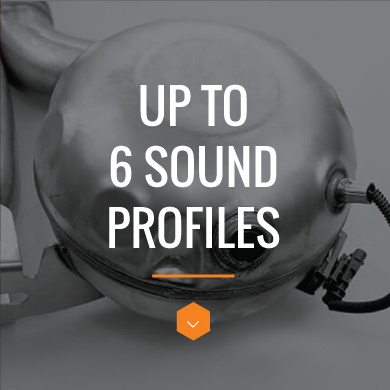 Sound Booster Pro gives you an additional 6 exhaust sound profiles to choose from. You can either use the 6 standard tones, or customise 6 new tones of your own using the Sound Booster software. If you prefer to have less tones to select, you can also disable some of those 6 tones, and for example you might only have two active tones. However you decide to configure your Sound Booster, you will also have the original exhaust sound of the car available, and will still be able to disable the sound actuators all together by going away from Dynamic mode to efficiency mode. The diagram to the left shows the components of the Active sound System and Sound Booster Pro, and how they are connected. 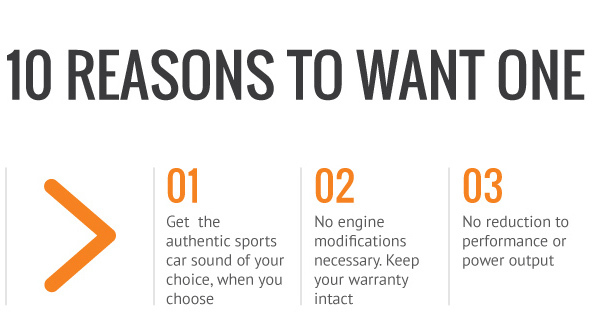 READY TO ENHANCE YOUR CAR? 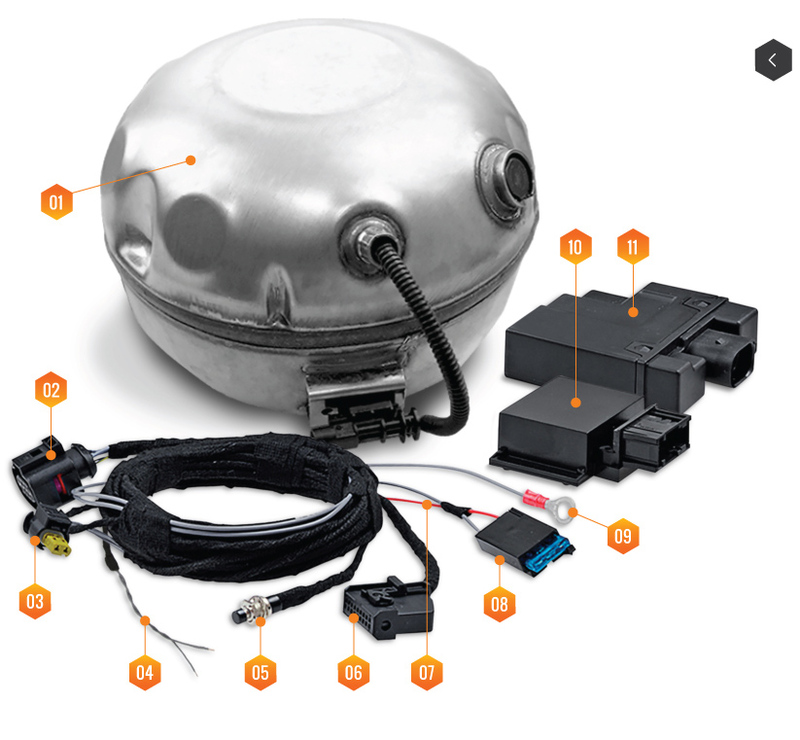 SOUND BOOSTER SYSTEM IS COMPATIBLE WITH MOST VEHICLES WITH A DIESEL ENGINE. CLICK HERE TO SEE MORE OF OUR SOUND BOOSTER INSTALLATIONS ON DIFFERENT VEHICLES.